Bold Music Teacher Grants | Three $250 Awards! Submit your lesson plan for a chance to win one of three grants from Bold Music! 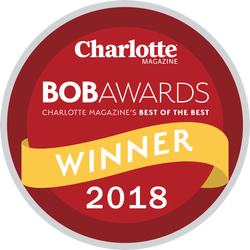 Bold Music is looking for the best lessons plans from music teachers in the Charlotte area that teach students about foundational music skills. We teach our students how to play the instruments they love and provide them with real gig opportunities around Charlotte – and it wouldn’t be possible without great music education in our local schools! Your lesson plan can go in a variety of directions! All should include the following requirements below. •	You need to provide a full-detailed description of the lesson plan, handouts, list of materials needed, etc. in the final deliverable. •	Your lesson plan should be appropriate for your students’ grade level. •	Make sure to include goals and how you plan to measure your students’ progress and understanding. •	And most importantly, be creative and interactive – students should be active participants and have fun! Bold Music will award three $250 teacher grants to be used towards classroom activities and supplies for our winners to teach their submitted lesson plans. Submissions are due on May 22nd, 2017 (extended deadline) and we’ll announce the winners by May 29th, 2017.